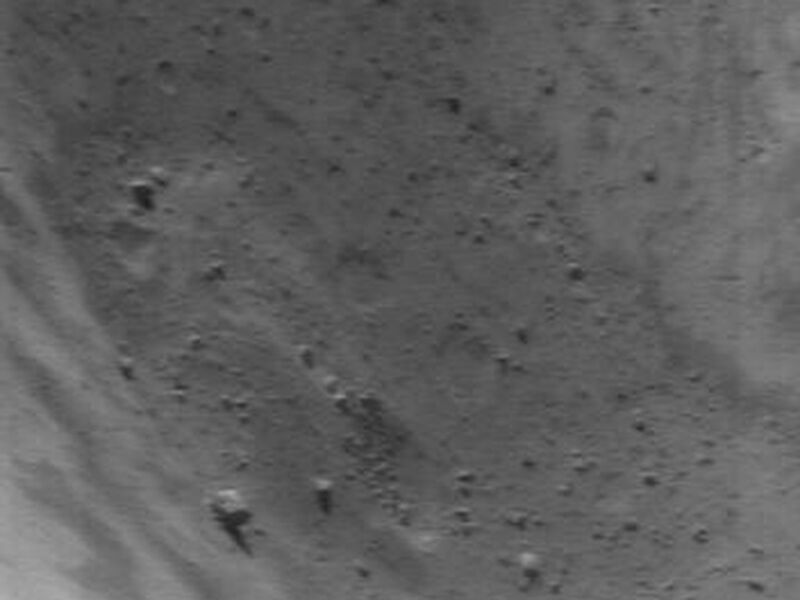 NEAR Shoemaker continues to take pictures of Eros under different lighting conditions and at better spatial resolution. 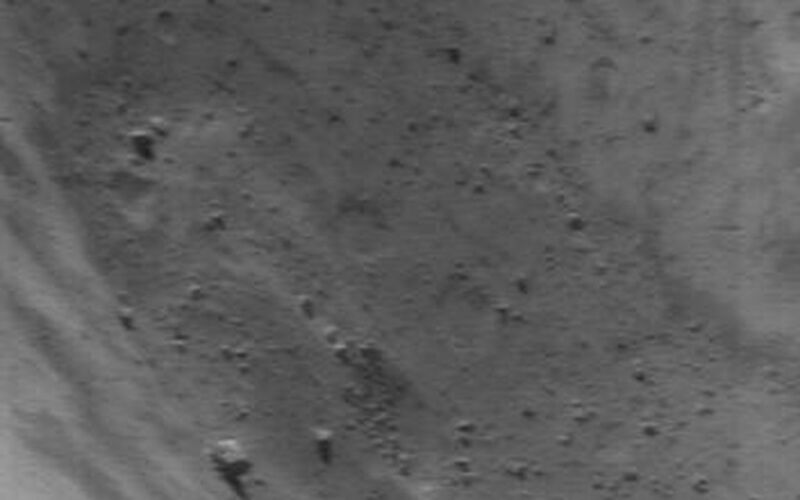 This approach maximizes the amount of recognizable detail in the surface, while placing that detail into the context of the asteroidís large-scale geography. 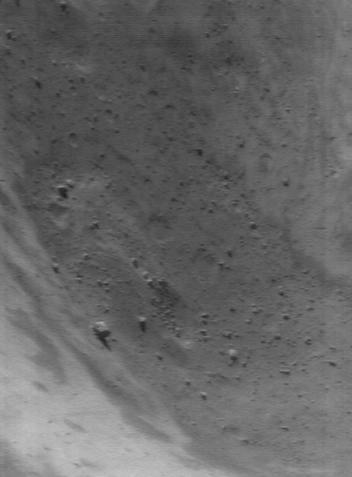 This image approximates the view from the edge of the large, 5.3-kilometer (3.3-mile) diameter crater, looking into its depths. It was acquired on June 6, 2000, from an orbital altitude of 49 kilometers (30 miles). 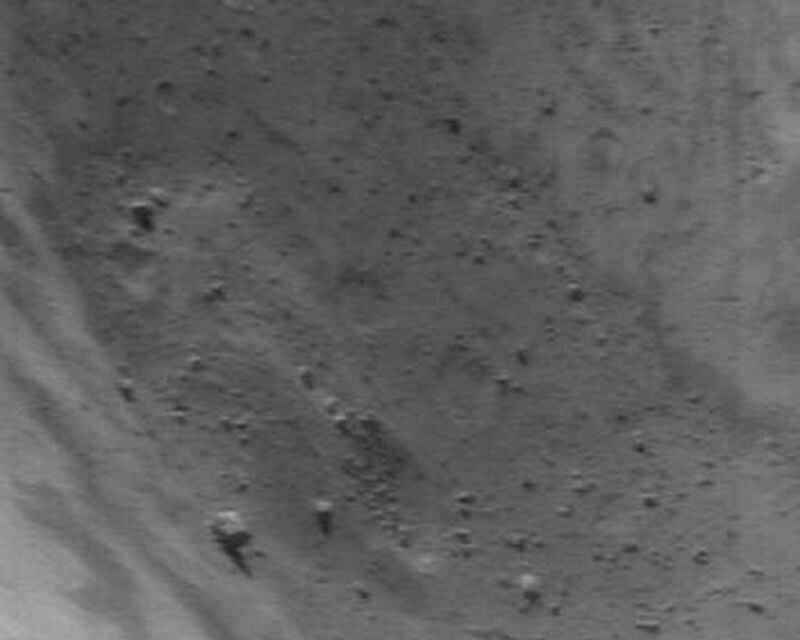 The whole scene is 1.4 kilometers (0.9 miles) across.